In the Qur'an, our Almighty Lord promises believers a blessed dominion over the entire world. As part of that promise, those who have faith and do good works will inherit the world, and the moral values of Islam will reign. This means the global preeminence of beauty, fertility, joy, happiness, enlightenment, purity, peace, justice, brotherhood and love. In this time, when true faith in Allah, the One and Only prevails, all superstitious beliefs and philosophies and all irreligious ideologies will disappear from the face of the earth. Almighty Allah will make the Prophet Jesus (pbuh) and Hazrat Mahdi (pbuh) His instruments in this great commission in the End Times. Hazrat Mahdi (pbuh) is spoken of in hundreds of trustworthy hadiths handed down from our Prophet (saas); the portents of the End Times, Hazrat Mahdi's (pbuh) physical characteristics, his coming and the periods before and after his coming are all described in detail. Since, by Almighty Allah's leave, these accounts all began taking place as of Hijri 1400 (1979/1980 in the Gregorian calendar), it seems that we are now living in the End Times and Hazrat Mahdi (pbuh) has already appeared. It appears from all these signs which have come about in complete agreement with the hadiths that, by our Lord's will, little time remains until the global sovereignty of the moral values of Islam under the leadership of the Prophet Jesus (pbuh) and Hazrat Mahdi (pbuh). - In their commentaries on the Qur'an, great Islamic scholars have analyzed a number of verses referring to Hazrat Mahdi (pbuh) and the community of believers around him. - In the Qur'an, Almighty Allah commands Muslims to be united and makes this an obligation for them. Throughout the course of history Muslims have lived under the leadership of the mahdis of their own times, and today they must also live under a single leader, as our Lord commands. In the End Times it is Hazrat Mahdi (pbuh) who will be the spiritual leader of Muslims, who will unite Muslims together as our Lord commands. Therefore, every verse that refers to unity among Muslims refers to the way of the Mahdi. - Our Almighty Lord reveals that there is great wisdom in the stories of the prophets in the Qur'an for clear-thinking people. Every prophet is the Mahdi of his own day. Therefore, every story of a prophet contains references to the End Times in which we are living, in other words, to the way of the Mahdi (pbuh). Our Prophet (saas) himself reveals that the stories of the Prophet Solomon (pbuh) and Dhu'l Qarnayn in Surat al-Kahf contain verses that refer to the system of the Mahdi. - Throughout the course of history there has been a struggle between the good and evil, between the supporters of satan and the supporters of the truth. In the Qur'an, Almighty Allah describes this great struggle and gives examples of it. Under the law of Allah, a great struggle is also taking place in the End Times between the way of the antichrist (antimessiah) and the way of the Mahdi.Therefore, in every verse of the Qur'an that Allah describes this struggle again refers to the system of the Mahdi. It is clear that, through many of the verses of the Qur'an, our Lord tells Muslims of the way of the Mahdi and the global preeminence of the moral values of Islam. The coming of Hazrat Mahdi (pbuh) is the greatest event in the history of the world and is therefore a fact also spoken of in other Holy Books. The Torah and the Psalms [Zabur] contain sections that have remained unaltered over time and are in full agreement with the Qur'an and the hadiths of the Prophet (saas). The verse "We wrote down in the Psalms, after the Reminder came: 'It is My servants who are righteous who will inherit the earth'." (Surat al-Anbiya', 105) says that the coming of Hazrat Mahdi (pbuh) and his global jurisdiction are also spoken of in the Torah and the Psalms. Indeed, when we look at the Torah and the Psalms we see that this is set out in great detail and in complete conformity with verses of the Qur'an and the hadiths. The coming of Hazrat Mahdi (pbuh), under various names, such as "Mashiach", "the King Messiah", "Shiloh (He who is sent, the gift of Allah)" and others, is foretold in various uncorrupted sections, together with his global sovereignty. The periods before and after the appearance of Hazrat Mahdi (pbuh) are also described. It can be seen from these hadiths that the way of the Mahdi appears in the Holy Scriptures of all divine faiths and that Muslims will find Hazrat Mahdi (pbuh) when they look in these books. The coming of Hazrat Mahdi (pbuh) is similarly foretold in those true parts of the Gospel that are compatible with the Qur'an. References such as "Paraclete" and "water pitcher" are noteworthy. These refer to a leader the glad tidings of whose coming in the End Times is given by the Prophet Jesus (pbuh), who will bring peace, security, unity and union to the world, and who is born under the sign of Aquarius (Allah knows the truth). (It is also highly significant that 2012 is regarded as the start of the Age of Aquarius.) The Prophet Jesus (pbuh) advises his disciples to join this trustworthy individual, who will come after him, to heed his words and to follow him to the end. In addition, the signs of the End Times set out in the Gospel and the descriptions of the period following the coming of the Prophet Jesus (pbuh) and Hazrat Mahdi (pbuh) are also in close agreement with verses of the Qur'an and hadiths handed down from our Prophet (saas). Therefore, all the signs of the End Times according to the Gospel have also come about one after the other. 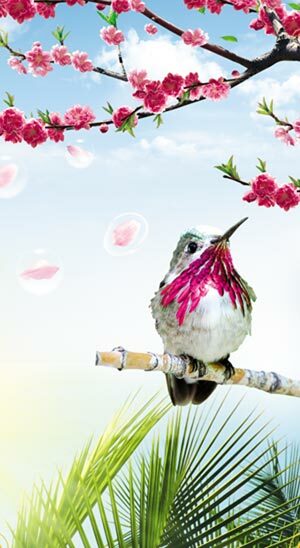 We can safely conclude from all this, on the basis of Islamic references in particular, and also of the Gospel, the Torah and the Psalms, that we are living in the age in which Hazrat Mahdi (pbuh) has started his work. This small book contains various verses from the Qur'an and passages from the Torah, the Gospel and the Psalms referring to the way of the Mahdi and the global preeminence of the moral values of Islam. In the End Times in which we are living, Allah the Compassionate and Merciful will make the Prophet Jesus (pbuh) and Hazrat Mahdi (pbuh) His instruments in bringing about the ascendency of the true faith He has chosen for His servants, and will show the world His infinite might. The time we are living in is the beginning of a most blessed and wonderful period. The global dominion of Islam is Allah's promise, and our Lord's promise will definitely be made good. 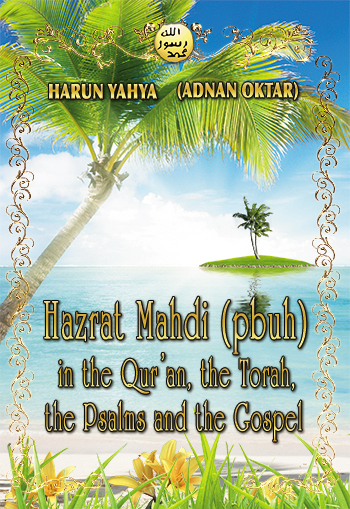 You can read Harun Yahya's book Hazrat Mahdi (pbuh) in the Qur'an, the Torah, the Psalms and the Gospel online, share it on social networks such as Facebook and Twitter, download it to your computer, use it in your homework and theses, and publish, copy or reproduce it on your own web sites or blogs without paying any copyright fee, so long as you acknowledge this site as the reference.